How Far is Riddhi's Saphire? Riddhi's Saphire one of the best ongoing project in Nanakramguda, it is one of the best projects of Riddhi Builders & Developers, do you want to stay in a place where you can get all the facilities, this an endpoint for your search of the best home in Hyderabad. All the apartments are constructed with vastu and loaded with key features, this place offers all the luxuriness and facilities required for the comfortable living. A perfect combination of serenity and style, crafted by giving importance to little details, focus on quality and location advantages makes it an ideal place for living in Nanakramguda. Riddhi's Saphire project offers the apartment for sale in Nanakramguda, Hyderabad, a home where you can enjoy the immeasurable comfort. 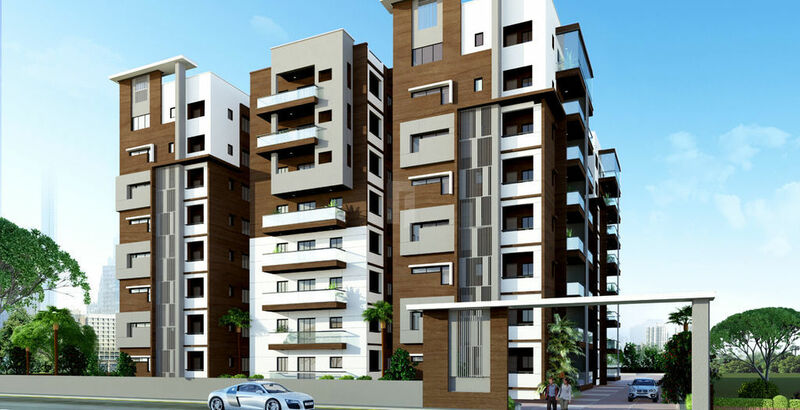 Here you will come across 2BHK and 3BHK apartments where 2BHK apartments super built-up area is 1290 Sq ft, the super built-up area of 3BHK apartments varies from 1545 Sq ft to 1895 Sq ft. Along with apartments in Nanakramguda the Riddhi's Saphire offers amenities too for the benefit of the residences, some of the amenities are gym, yoga/meditation hall, basketball court, skating rink, swimming pool, clubhouse, multi-purpose hall, intercom, children's play area, and rainwater harvesting.